Leave voters appear to hold more negative views of London overall. Asked to choose from a list of words to describe the capital, they were more likely to choose words like “expensive”, “crowded”, “chaotic”, “dirty” and “impersonal” to describe the capital, and less likely to choose words like “diverse”, “cultural”, “lively” or “dynamic”. The two most popular words chosen to describe Londoners themselves also split on a Remain-Leave basis, with Remainers more likely to describe Londoners as “diverse” than Leavers were, and Leavers more likely than Remainers to think the capital’s residents “arrogant”. Both Remain and Leave voters were particularly disinterested in “decentralising” the country to make it “fairer”, by moving institutions such as parliament, government departments, the national news media or national museums and galleries out of London. But Leave voters were even less interested. So what does it all mean? Overall, it does appear that Leave voters hold more negative views of the capital than Remain voters. They are less likely to express pride in London, more likely to pick negative words to describe it, and more likely to view its occupants as “arrogant”. These differences are small, but are consistent enough to suggest a pattern. 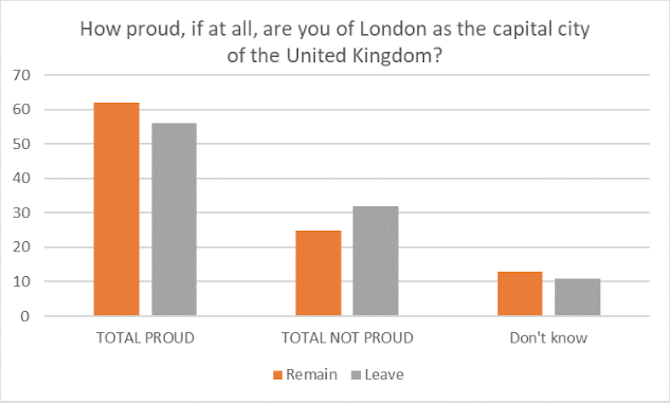 The size of these differences also suggests that this is not unsolvable; although Leave voters are also less inclined to take radical action to address London’s dominance by moving institutions out of the capital. But this alone is not enough. The process of negotiating Brexit has, ironically, left little space for serious thinking about how to address the issue. On top of this, the government’s own forecasts predict that Brexit will have a much stronger negative economic impact on regions outside of the capital, regardless of the outcome of the ongoing negotiations. All post-Brexit scenarios are therefore expected to see regional inequalities worsen. New thinking on how to mitigate these effects is therefore extremely important. 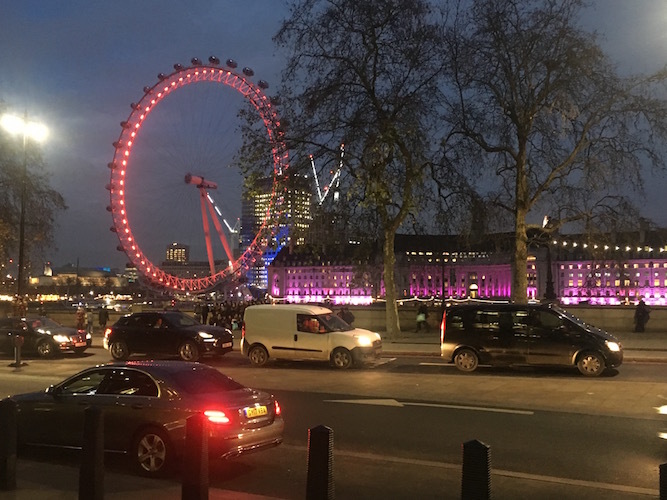 The capital must look to play a role in bringing people back together, and reconnect voters with the decisions that affect their lives – and Centre for London’s London and the UK project is seeking to do just that. Jack Brown, a frequent On London contributor, is senior researcher at Centre for London, which originally published this article. All the figures it contains, unless otherwise stated, are from pollsters YouGov. I think decentralisation purely for political reasons (to attempt to alter inequality) won’t work. All research on the economy of cities points to urban centres as being central to economic growth, and that regions benefit by being in proximity to a thriving city. As someone who lives in East Anglia and has studied economic marginalisation there, I’d say the situation is compounded by poor IT infrastructure, poor transport links and poor governance. If the first two things were resolved East Anglia could make more of its proximity to London, and if the third changed there might be more proactivity to reform the economy, society and culture of the region.